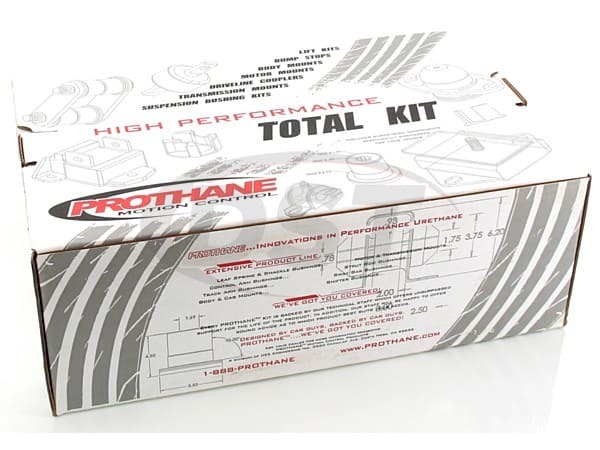 This is Prothane's Total Kit 1-2018 for a 2007-2014 Jeep Wrangler JK 2 Door. When you bought your Wrangler JK, you had probably had dreams of conquering the outdoors, and now, that dream is slowly becoming a nightmare.  The assortment of clunking, banging and sloppy handling you are now experiencing is enough to drive someone crazy. 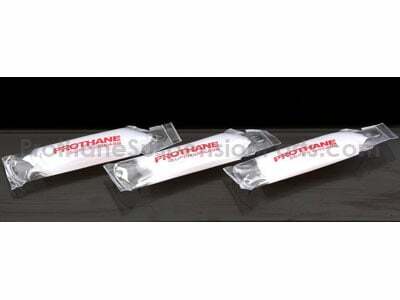 Prothane's performance polyurethane is far more durable than rubber for suspension bushings. 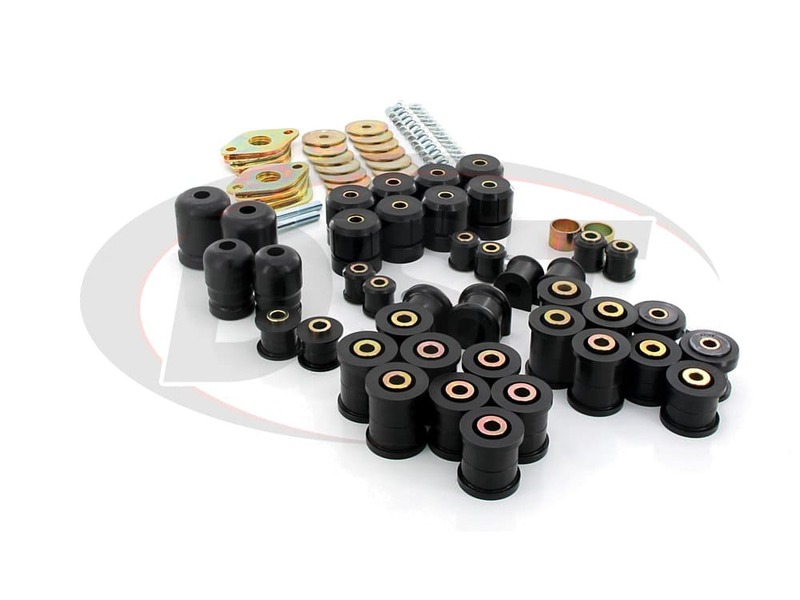 Not only will these bushings stand the test of time, and the outdoors, but they will also stop that annoying clunking while giving you the ability to master the outdoors with your new Wrangler bushing set up. Along with the annoying noises and sloppy handling, distorted OE control arm bushings can have a very negative effect on your alignment. When the OE bushings distort, the geometry of the control arms is thrown out of whack, messing up the camber of your wheels. No matter how many times you take your Jeep to the shop for an alignment, you won't be satisfied as long as the old rubber bushings are installed. You'll just be right back up at the shop in a few weeks because the alignment is out again. 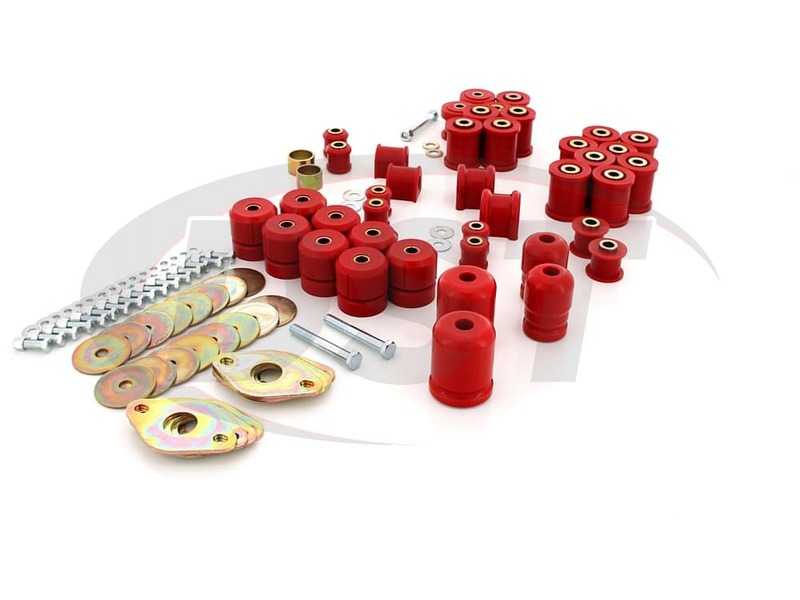 So in this total kit, Prothane has included for the front control arms all of the bushings you'll need to address this issue. Prothane 1-211 is included in this kit. 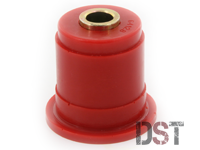 This contains four polyurethane bushings, covering both positions on the upper control arm, left and right side. There are also four complete bushings for the lower arms, left and right side. Prothane's control arm bushings are a split design for easy installation and come with eight steel inner sleeves that match your OE bolt size. 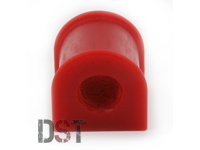 Prothane has incorporated the split design into their bushings to eliminate the need for a press during installation. Alternatively, each half of the bushing will insert on either side of the control arm, with the new inner sleeve going through the middle, and finally, your OE bolt to hold them in place firmly. 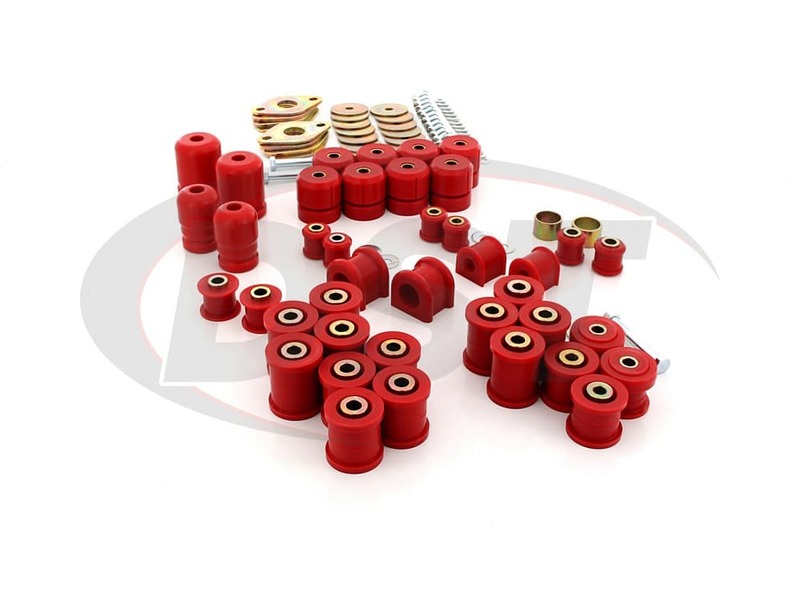 Also included for the front of your JK are bushings for the front track bar in the form of Prothane part number 1-1209. 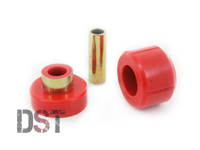 The OE rubber bushings will be replaced with two polyurethane bushings, one for each side, two outer metal sleeves, and two inner metal sleeves that match your OE bolt size of 7/8 inch. 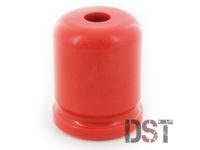 The track bar bushings are very important in keeping the axle from unwanted motion or sway. Prothane's polyurethane handles much better with high horsepower and heavyweight vehicles, so these bushings are a perfect solution for your JK. A Jeep's sway bar is responsible for maintaining maximum tire contact with the road and the bushing is responsible for holding your sway bar firmly in place. In off-camber situations, basically any time you off-road, uneven surfaces case a sway bar to flex and the soft rubber sway bar bushing stretch and lose their grip. The result is uneven traction which can get you stuck or even cause your Jeep to roll over. As if the possibility of rolling over wasn't bad enough, cracked or rotted sway bar bushings also cause uneven tire wear and an annoying rattle. Rubber bushings tend to split over time anyway, but all of that off-roading speeds up that process dramatically. 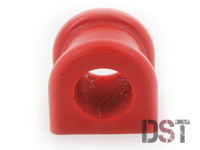 The Solution: Prothane's polyurethane sway bar bushings, part number 1-1127. An interesting aspect of this particular Jeep is the softer springs that were installed in the factory in an attempt to make a smoother ride. Many people are now experiencing the trade-off of this smoother ride, namely the response of the Jeep when you hit a bump. The softer springs are causing the Jeep's rubber bump stops to take a beating, and soon they will deteriorate. By installing Prothane's 1-1303 and 1-1304 bump stops for the front and rear, you can replace that soft factory rubber with durable polyurethane that will withstand the contact and last for a long time. 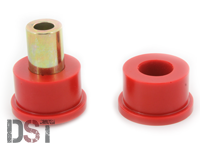 An often overlooked bushing that almost always needs to be replaced is the body to frame mount bushings. Chances are you didn't buy that Wrangler to keep it just on the nice smooth pavement, and really driving your Jeep can take a toll on the factory rubber body mounts. Many JK owners are now seeing the rubber body mounts rot away, leaving a bumpy ride in its absence. Prothane's 1-118 includes all 8 body mounts for the 2 Door Model. 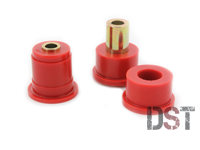 These bushings come as a lower half, and an upper half with all new hardware included. These polyurethane mounts will last much longer than those rubber bushings and make for a much smoother ride in the process. 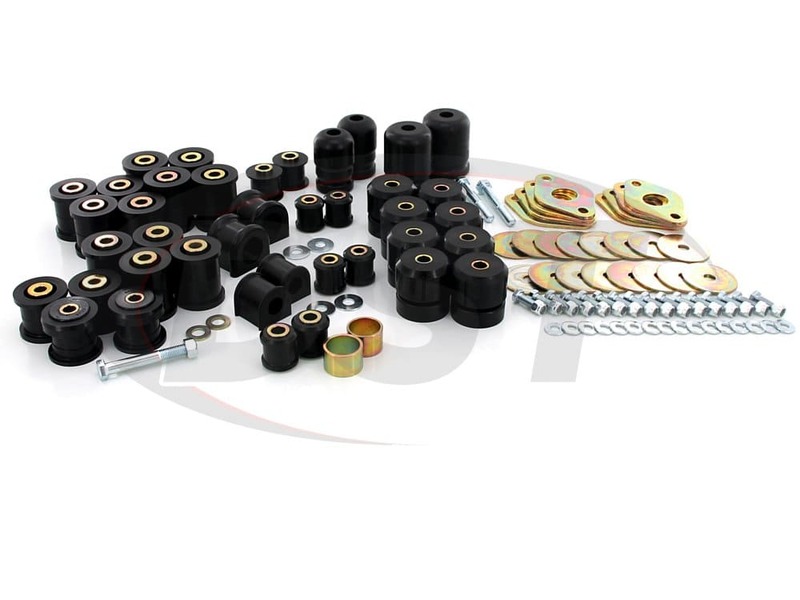 For the rear control arms, this Total kit includes Prothane part number 1-302, each bushing position is covered with two half bushings and a metal inner sleeve. There are four positions on your upper control arms, two on each side, and four for the lower arms as well. Just like the front sway bar, the rear sway bar comes with two new sway bar bushings with the same split design, and end link bushings. The 1-1128 bushings are specifically for a 19mm sway bar, so again you'll want to measure your sway bar just in case. The final part in the 1-2018 is Prothane part number 1-1210, which includes bushings for the rear track arm. 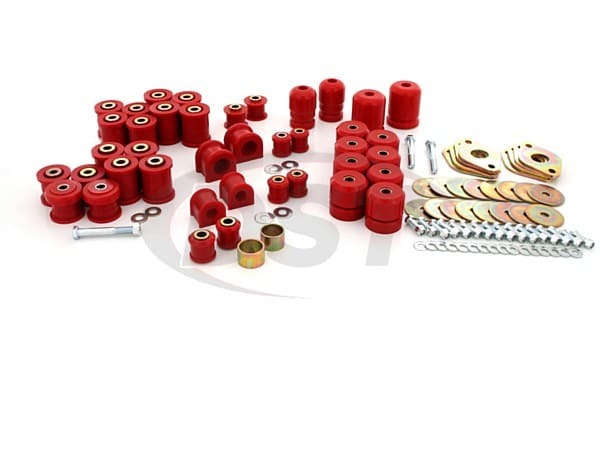 This kit will have two half bushings and a metal inner sleeve for both the left and right of your rear track bar. Just like the front kit, Prothane's polyurethane track arm bushings will keep your axle bolted firmly to the frame to eliminate any excess axle motion or sway.